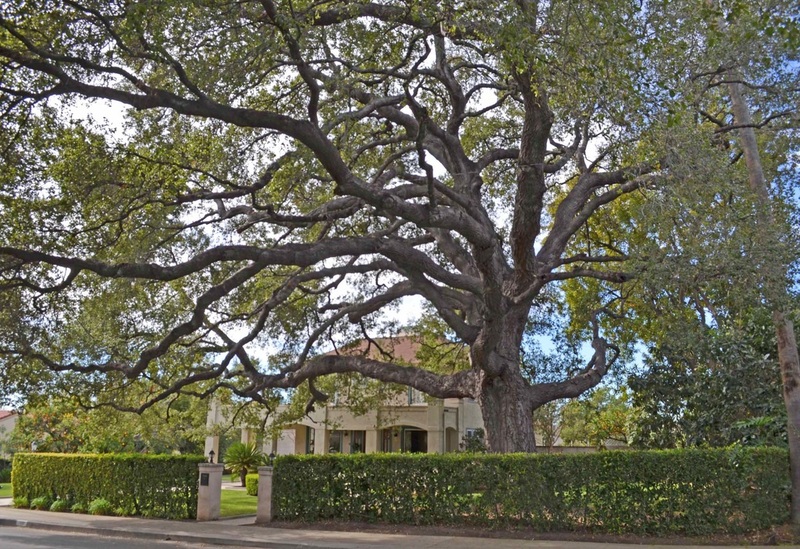 The Monrovia Historic Preservation Group is pleased to announce the lineup for its 37th Historic Homes Tour, on Sunday, May 5, 2019, from 10 am to 4 pm. Featured on the tour will be some of the really special homes in town - six of our "First Houses" (those built before the end of 1887). Also open for viewing will be the Monrovia Historical Museum and the Anderson House Museum. Advance tickets are on sale now. Tickets can be purchased at the Online Store (using PayPal or a credit card or you can download an order form to pay by check). Tickets will also be sold in Monrovia at the Monrovia Chamber of Commerce (620 S. Myrtle Ave), Dollmakers' Kattywompus (412 S. Myrtle Ave) or Foothill Gym (202 S. Myrtle Ave). Be sure to join us on May 5 when vintage "horseless carriages" will roam the streets of Monrovia, ushering in memories of time long past but alive for this special day. Docents will be stationed within each home to share stories, anecdotes, and architectural details of these "Gems of Monrovia." Popcorn will be provided by Deasy Penner Podley and cookies by the Rivanis Baking Company, gratis of course. Have you seen one of these around town? In 2017 the Monrovia Legacy Project identified 67 homes still standing that were built before the end of 1887. MOHPG decided to recognize these homes with a special plaque. Consent was obtained from 44 of the homeowners, and the plaques are up! Most have the year 1887 but there is one 1884, one 1885, and two 1886 plaques. So as you take your daily stroll up and down the streets of Monrovia, keep an eye out for one of these plaques on our oldest houses. The plaques measure 8" x 6" and are easy to spot from the sidewalk. ​This is another way MOHPG can say that we have some very special vintage homes in our community! Oh, and one other thing. 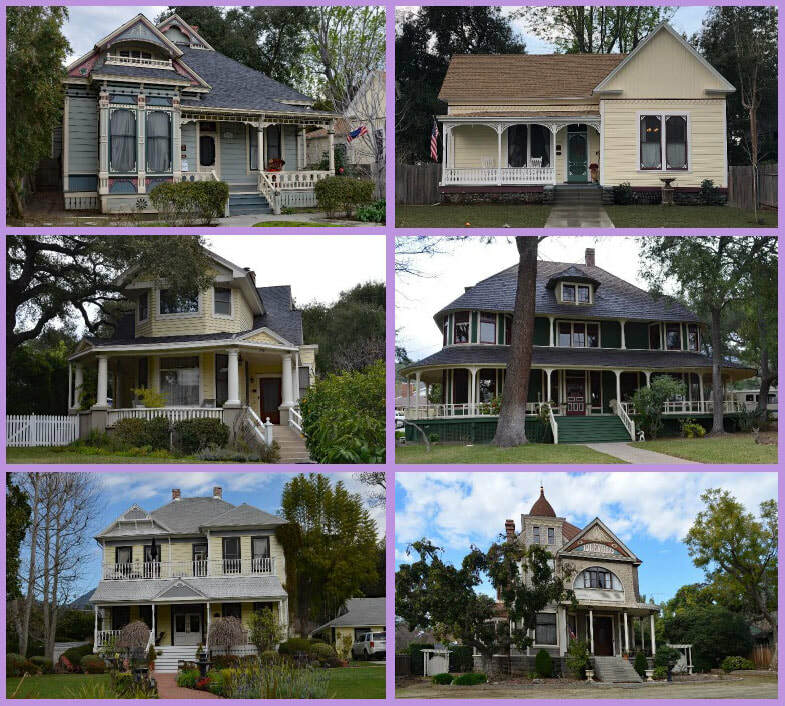 Five to seven of these special homes will be featured on the 37th MOHPG Historic Homes Tour on Sunday, May 5, 2019. Details will be posted on this website once they become finalized. Start your New Year off right with a little exercise by taking the walking tour of downtown Monrovia on Saturday, January 5, at 10 am. Cost is $5 per person and the tour lasts about 2 hours. We walk a total of 8 city blocks. Meet at the SE corner of Palm and Myrtle Avenues. No RSVP is necessary. The Baxter Building, located at the NE corner of lemon and Myrtle Avenues. Still standing. Monrovia resident and Boy Scout Marcus Chamberlain has just completed his video version of a walking tour of six Monrovia buildings, complete with narration by MOHPG board members. The project is part of the requirements Marcus needs to complete in order to earn his Eagle Scout award. View the video on Marcus' website by clicking the link here. ​Feel free to add your comments below. 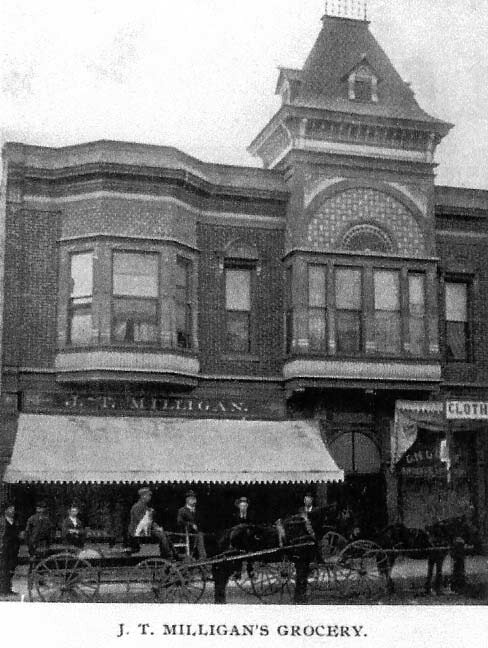 The J T Milligan grocery store was located on Myrtle Avenue in 1897 but it had been moved from a previous location. Where? Find out the answer and much, much more this Saturday, October 6, by taking a walking tour of downtown Monrovia. Cost is only $5 per person and is sponsored by the Monrovia Historic Preservation Group. Walk from Palm Avenue to Olive Avenue and back. The tour takes about 2 hours. Meet at the SE corner of Palm and Myrtle Avenues at 10 am. NOTE: We regret that the earthquake workshop enrollment is now full. Although you can no longer RSVP, we suggest you show up on the 22nd to see if there is any space available. Space limitations preclude admitting more than 60 people. We are planning on holding a third workshop in September 2019. MOHPG is once again partnering with the Monrovia Fire Department to host its 2nd annual earthquake workshop. It will be held on Saturday, September 22, 2018, from 11 am to 2 pm in the Community Room of the Monrovia Public Library. There is no cost to attend, but you must RSVP! The guest speaker will once again be Margaret Vinci from Cal Tech. In addition representatives from the Gas Company, Southern California Edison, the American Red Cross, and the local CERT group will be in attendance to share their expertise. Another opportunity to learn about Monrovia's history will come this Saturday, August 4. The walking tour begins at 10 am and lasts about two hours. Cost is $5 per person. 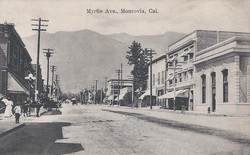 Learn about early Monrovia and the buildings that populated Myrtle Avenue when the town became incorporated in 1887. ​Meet at the SE corner of Myrtle and Palm Avenues. 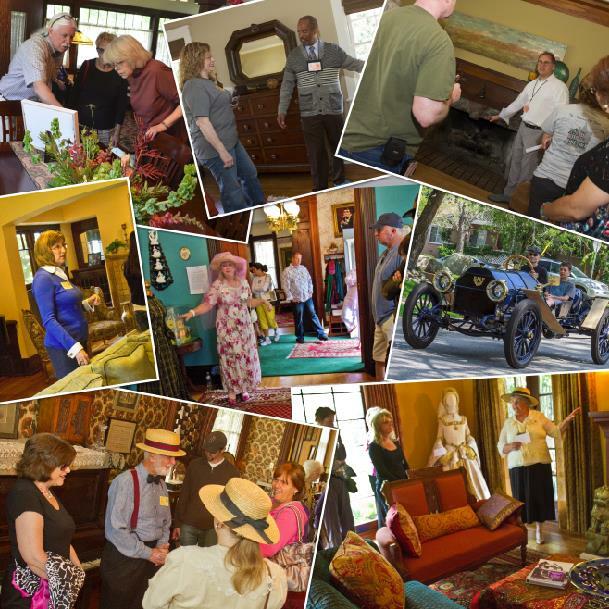 MOHPG hosted a historic homes tour for the 36th year in a row on May 6, and enthusiastic visitors got a taste of some of Monrovia's architectural gems. A Queen Anne Victorian, a Tudor Revival, and Spanish Colonial Revival and three Craftsman homes gave tour goers an intimate look at the variety of housing styles to be found within the city. Look below for tour days photos captured by our photographer Larry Marotta. PLEASE NOTE: A broken water pipe indoors of the Minimal Traditional home set to be on tour has necessitated its removal from the lineup of tour homes. In its place will be a 1908 Craftsman that was recently restored (see photos below). We apologize for this unforeseen event. Preparations are underway as the Monrovia Historic Preservation Group prepares to host its 36th annual tour of local homes. The tour will be held on Sunday, May 6, 2018, from 10 am to 4 pm. This year's offerings include six homes and the two local museums. The homes represent a variety of the vintage character homes that lace the neighborhoods in Monrovia, including Queen Anne Victorian, Spanish Colonial Revival, Craftsman, Tudor, and Minimal Traditional. Below are pictures of the homes and museums that will be open for viewing on the tour. Save the Date! 36th Annual Historic Homes Tour is Coming Soon! MOHPG is proud to present the 36th edition of the Historic Homes Tour on Sunday, May 6, 2018, from 10 am to 4 pm. Complete information including pictures of the homes and ticket information will be available on this website in early March. To view the April 2019 newsletter, click here. The next walking tour of downtown Monrovia will be held on Saturday, June 1, at 10 am. Meet at the SE corner of Palm and Myrtle Avenues. Cost is $5/person. Join us on Facebook to see what issues people are talking about. Be part of the conversation! During this period of extended drought conditions, we sometimes fail to recognize the importance of insuring that our trees survive. If you’re not yet a member, we hope that you will consider joining us on our mission. You can visit our Online Store to purchase a membership and become an active participant in helping us continue to preserve, restore and maintain the character of the wonderful city of Monrovia. We would like to hear from you! Please take a moment to take our survey so we can better understand and serve our visitors.